Hi, So, obviously it is not too late to start collecting Lego. I'm over 40 now, but am picking up set after set or so it seems. I am, however, not new to Lego. Being born in the mid-seventies I got my first sets about -76 or -77. I remember, for instance, 928-1, which I owned among many other sets. From those years and on to about mid or late eighties I had a steadily growing collection of Lego. Mostly space and techic. Then other things got more interesting and to my horrror my parents gave away all lego later on, without even asking. I have still not forgiven them for that ;) Fast forward to 2000. 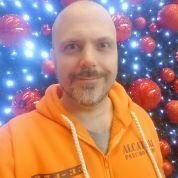 I freezed in front of the quite new UCS X-wing 7191 when getting Christmas presents for my GF's daughter. Ended up getting the set in christmas present myself. Best Christmas ever, since childhood! I promptly bought the UCS TIE Interceptor and they've been on display at home or at work ever since! Then, last fall, something happened and I started to actually buy sets. Sets I have looked at but always thought 'Hey, I'm grown up now, the moment has passed' or 'I do have my two UCS, that should do it'. It started innocently with a small set and over a year I have increased my collection to about 30+ sets. I am no rich and am in no rush. I just realize that it's never too late to get those sets that I wanted secretly. My issue is that I have no space for my sets and really, I need to consider price too having kids of my own now and everything that comes with that. But every now and then I can spend a few on a set. 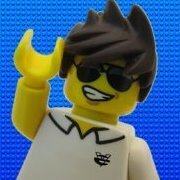 Do I build MOC's? Sometimes, I add a pic of something I did some year ago just for the fun of it. A small tribute to the Youtuber AgentJayZ that works with jet engines. Not as much as an act of a fan, I sorted some of the Lego I managed to salvage from my childhood and started to build randomly. :) My interest in Lego seems to be focused on Classic Star Wars, UCS and the more advanced vehicles like the VW Camper, Mini etc. I like vehicles, in short. Real and fiction. I've added my current collection to brick brickset (http://brickset.com/sets/ownedby-jemakrol) and rebrickable (http://rebrickable.com/profile/jemakrol - not public yet though) and now I ended up here as a result of searching for info about the new 10252 Beetle. Thanks for the attention, and happy building / collecting folks! Hi. I'm writing from Italy! Hi to everyone. I'm a new member from Italy. The results are in! 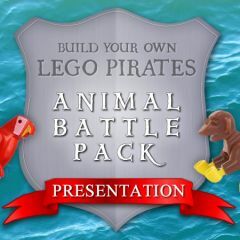 Remember the LEGO Pirates Animal Battle Pack Survey we conducted a few months back? The data has been collated and analysed so now we have presentation to share. Classic-Pirates.com-Animal_Battle_Packs.pdf Feel free to leave comments and feedback in this thread!